Citrus – The acidity in citrus fruits will eat away at your tooth enamel. There are health benefits to consuming citrus, but chronic consumption of citrus over time will make your teeth more susceptible to decay. Vinegar – Vinegar is mostly found in salad dressings and can also have some health benefits. Lettuce can help lessen the damage vinegar can have on your teeth, so as long as you limit your vinegar-based dressings and your salad isn’t swimming in it, you should be okay. Bread and Grains – Processed breads and grain products contain preservatives and have a high carbohydrate load. When you consume carbohydrates, your saliva quickly turns into sugars which are then broken down by the bacteria in your mouth. The byproduct of this process is an acid which damages your tooth enamel. 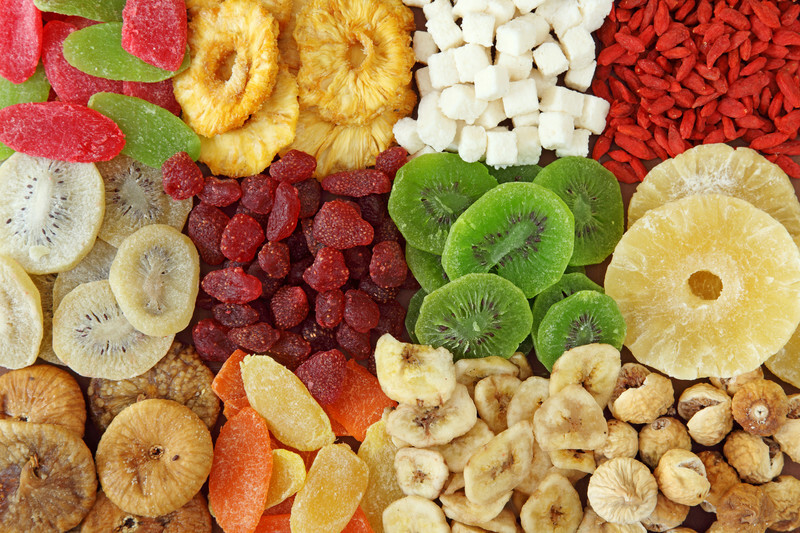 Dried Fruit – While dried fruit sounds like a healthy snack, it’s actually full of sugar. Dehydrated fruit can also be quite sticky and will stick to your teeth longer than fresh fruit. 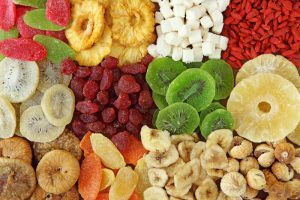 If you consume dried fruit, do so in moderation and perhaps mixed into a trail mix. Drink plenty of water and brush your teeth and floss more often. Artisan Coffee and Energy Drinks – Coffee alone can stain your teeth, but artisan coffee adds in copious amounts of sugar on top of that. Energy drinks aren’t much better. While they boast of B-vitamins, they’re also loaded with sugar and caffeine. Caffeine has a secondary effect in that it can cause some dry mouth. If you do drink coffee or energy drinks, opt for low- or no-sugar and drink plenty of water. Sports and Energy Drinks – Sports drinks can be useful during high-energy expenditure physical activity, but the truth is, most of the time sports drinks are unnecessary. They contain sugar as one of the first ingredients, sometimes labeled as “energy”. Drinking water and eating a small snack is a better option. Alcohol – Alcohol can also cause dry mouth. Even wine, which is consumed by many people in the name of heart health, can cause teeth staining from the tannin content. White wine isn’t exempt either, as the acidity can make your teeth more susceptible to staining from other foods. Starchy Snacks – Things like potato chips, pretzels, and crackers have the same effect as bread. The starches stick around longer, turn into sugar and the breakdown process releases acids. Ice – No calories, no sugars, but ice can damage teeth as well. Chewing on ice can cause small hairline fractures that can turn into big problems over time. If you need to chew on something, make it sugarless gum. Regardless of how healthy they are, foods will damage your teeth if you aren’t maintaining a proper oral health routine. You should always take care to brush and floss at least twice daily to maintain oral health. For more information, visit our blog.